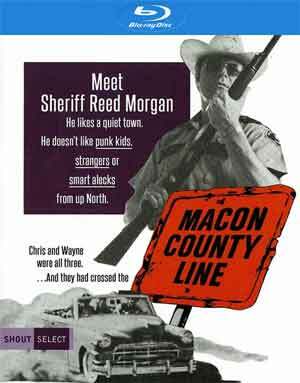 Macon County Line is a well developed drama that really stands out from others of the 1970s and does feature some great performances, particularly Max Baer (he also co-scripted) who previously was known as a comedic actor. Louisiana, 1954: Brothers Chris and Wayne Dixon (ALAN VINT and JESSE VINT) are joyriding through the South before enlisting in the Army. When the wife of a local sheriff is brutally killed by a pair of psychopathic drifters, Chris and Wayne are mistaken for the murderers. Far from home, on the run and out of time, they find themselves, along with an innocent girl (CHERYL WATERS) they picked up, hunted by the crazed lawman (MAX BAER) in a tragedy of rage and revenge that explodes in a shocking climax… once they cross the Macon County Line. This is part of the “Shout Select” line (#39) and features aren’t exactly plentiful but does include a new Interview (21:42; HD) with Editor Tina Hirsch; an Audio Commentary with Director Richard Compton; Macon County Line: 25 Years Down the Road (7:56; SD) vintage featurette; the Theatrical Trailer (1:57; HD), a Radio Spot (1:01; HD) and an Image Gallery (1:15; HD). Macon County Line debuts on Blu-ray through Shout Factory’s “Select” line and is presented with a 1080p high-definition transfer and in its original 1.85 widescreen aspect and given there’s no mention of a new transfer, I assume this was one given to Shout and although there is some minor bouts of dust marks, it’s a relatively good looking picture with sharp detail and vibrant colors. The included DTS-HD Master Audio Mono track is satisfactory though nothing exceptional. But dialogue levels did sound clear and it does seem reasonably clean free of any pops or hisses and there is some moderate depth. 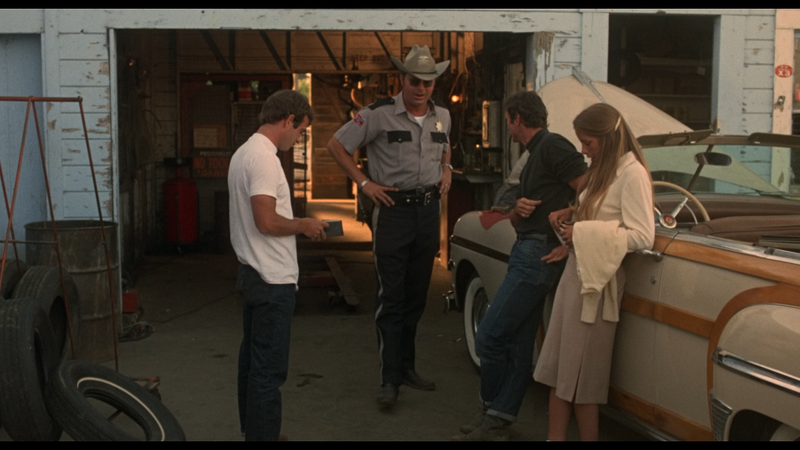 Overall, Macon County Line is a well developed drama that really stands out from others of the 1970s and does feature some great performances, particularly Max Baer (he also co-scripted) who previously was known as a comedic actor. 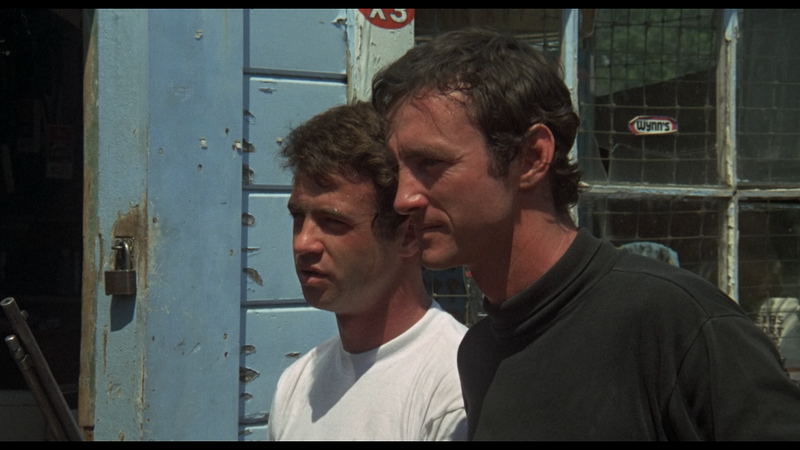 The Blu-ray from Shout Factory offers up good video/audio transfers and some okay bonus features.